When you look up in the sky, you see plenty of stars and when you group these stars, they form a recognizable pattern that is usually associated with mythological forms. These constellations have different names and people are even associated with these names based on when they are born. Aries, Taurus, Scorpio, Capricorn and many more names. Each is based on months of the year. 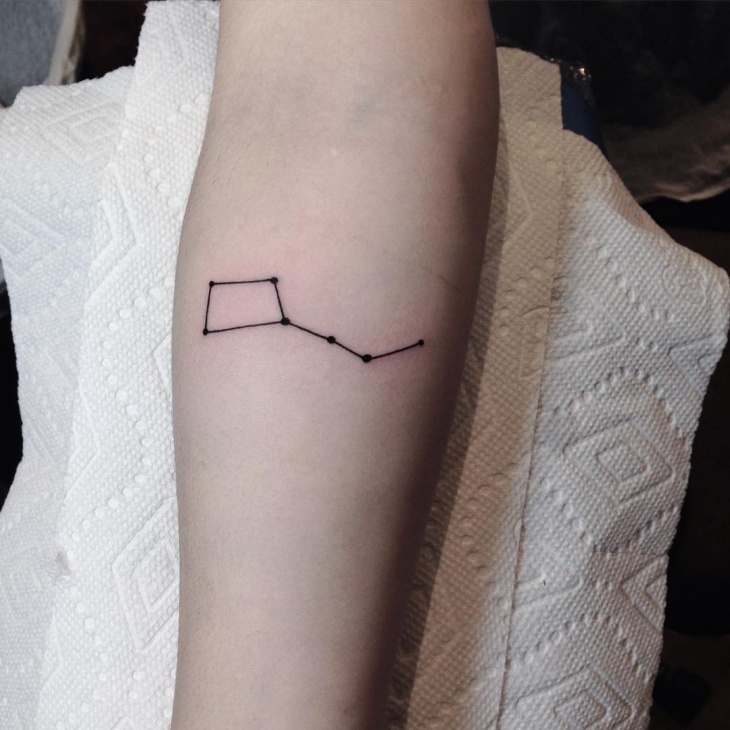 They say that each constellation defines the character of a person. 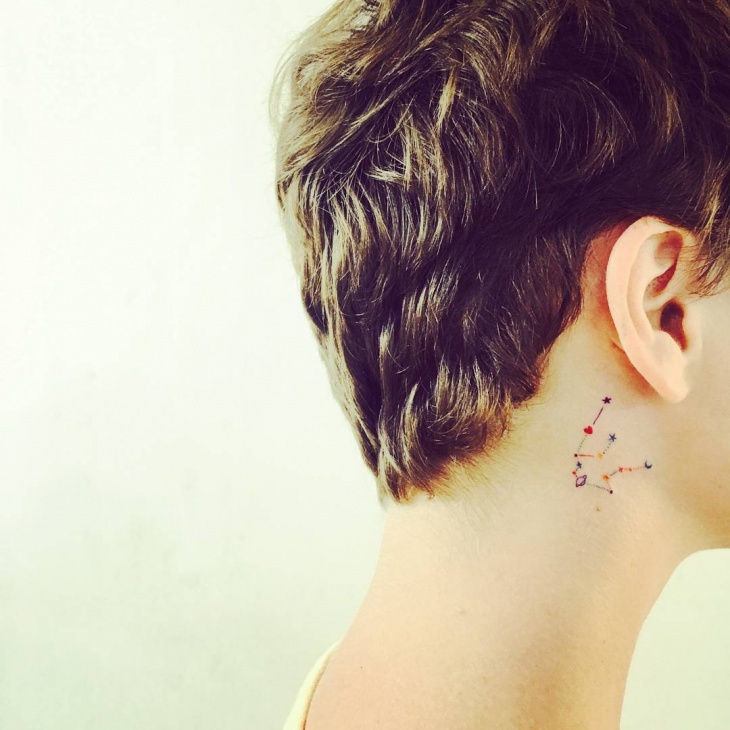 Let’s take a look at some of the constellations and how they form on your body to make a wonderful little tattoo. 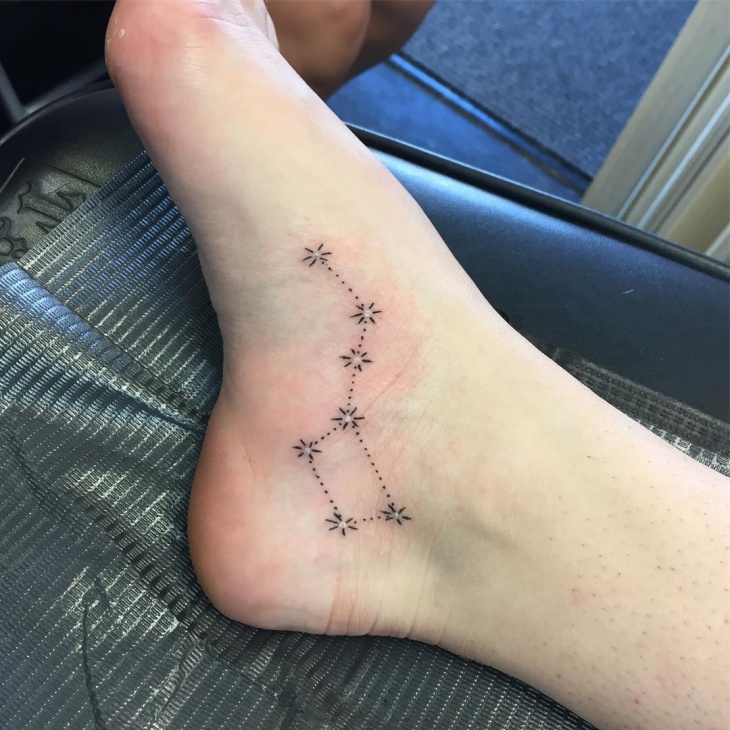 In this tattoo design, you will notice how many stars are joined together to form the Scorpio constellation. This constellation is also called Sco and they say that the tip of it forms the Sco, which means sting. 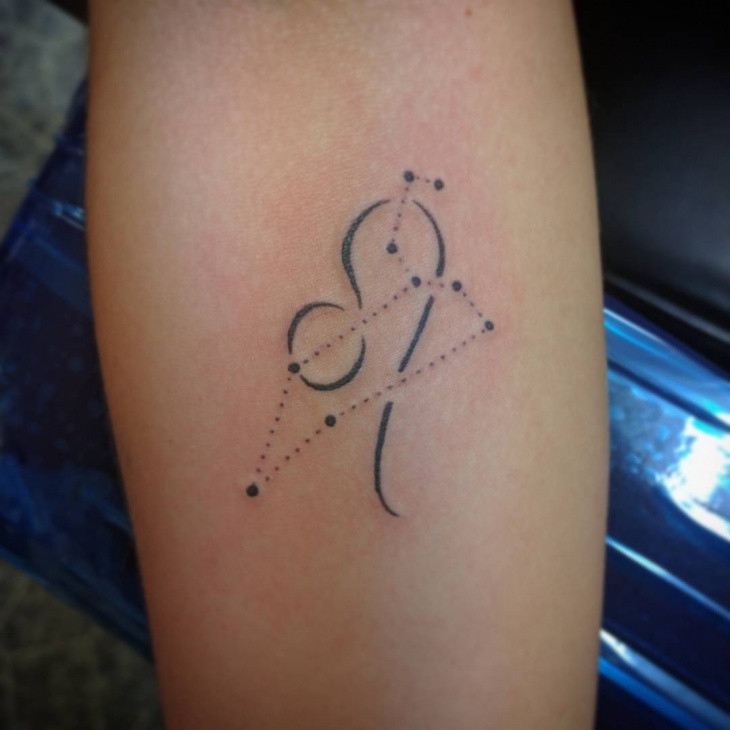 This design is done exactly like the constellation and looks very sleek and nice. 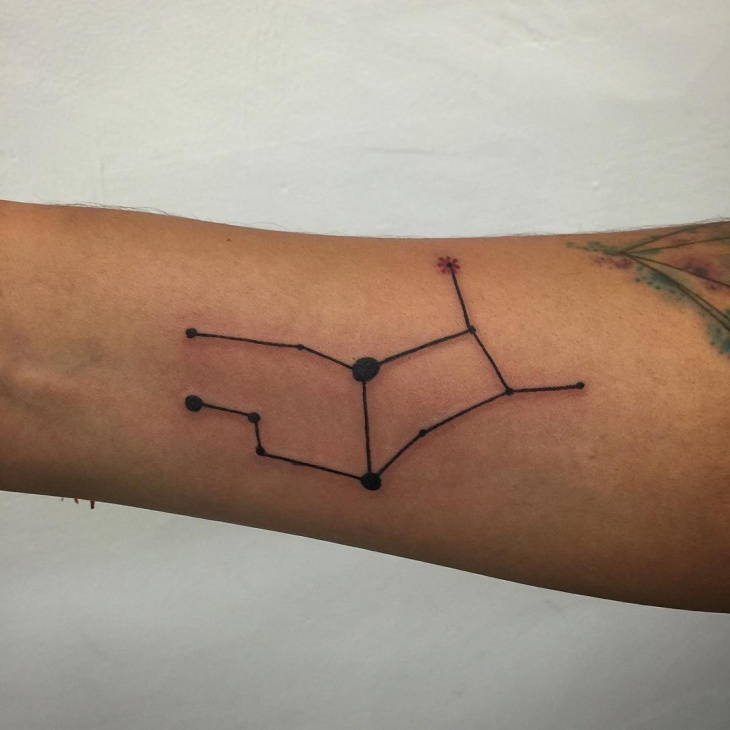 The constellation tattoo would look good anywhere because the design is so thin and nice. They look elegant no matter in what shape or size they are in. 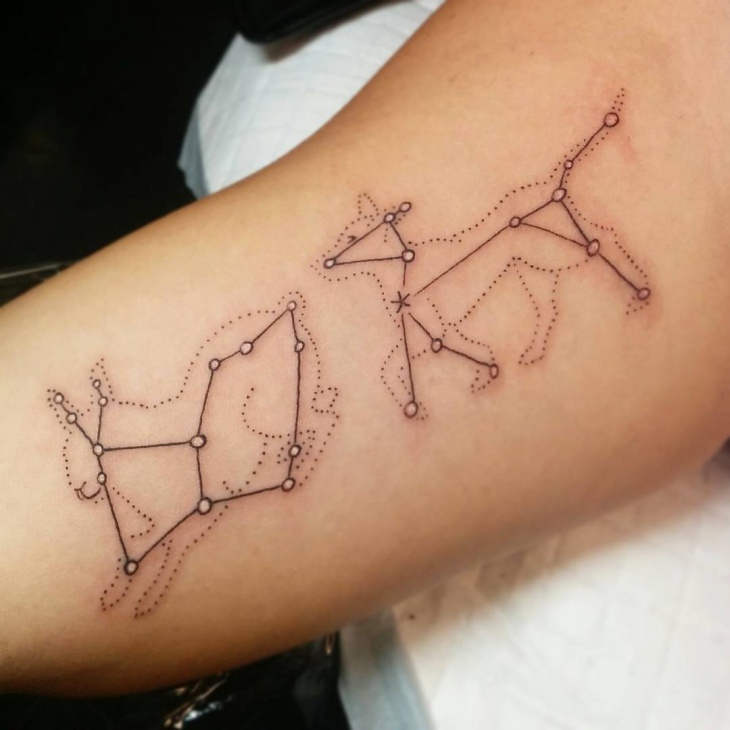 These particular constellation tattoos are two different signs. They are joined together to say that they are meant to be together. 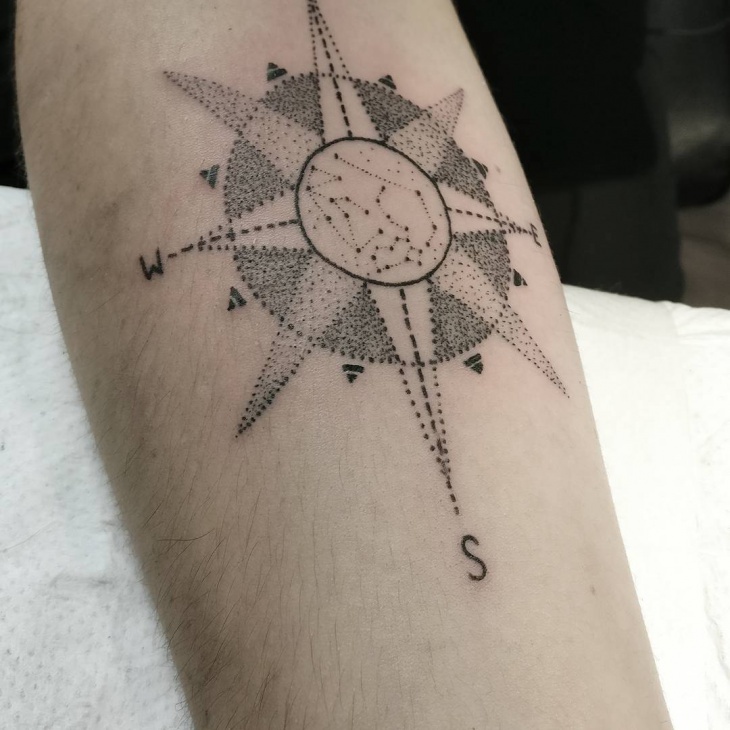 This tattoo design is a mixture of the constellations put together and a compass that forms the constellations. You can see the big star in between and a small constellation. The north, south, east and west poles are depicted to show the compass. This tattoo design looks neat and elegant. 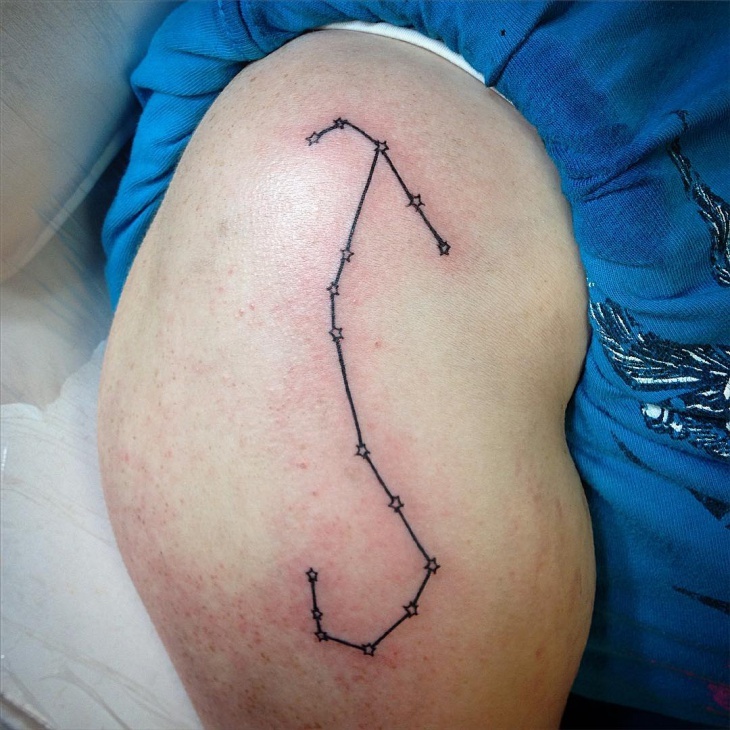 The constellation has been put together perfectly. 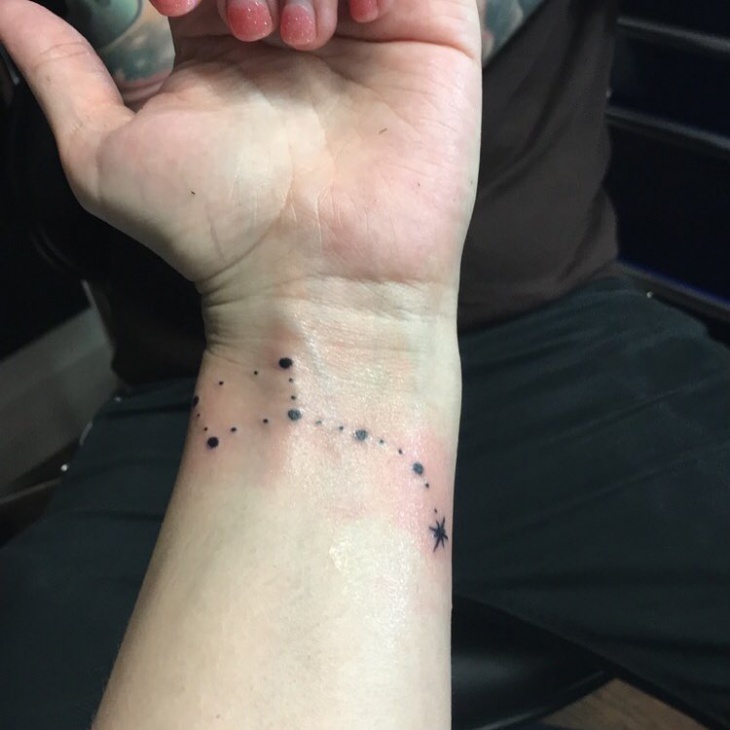 The dots around it are put together for an extra effect of the main tattoo. 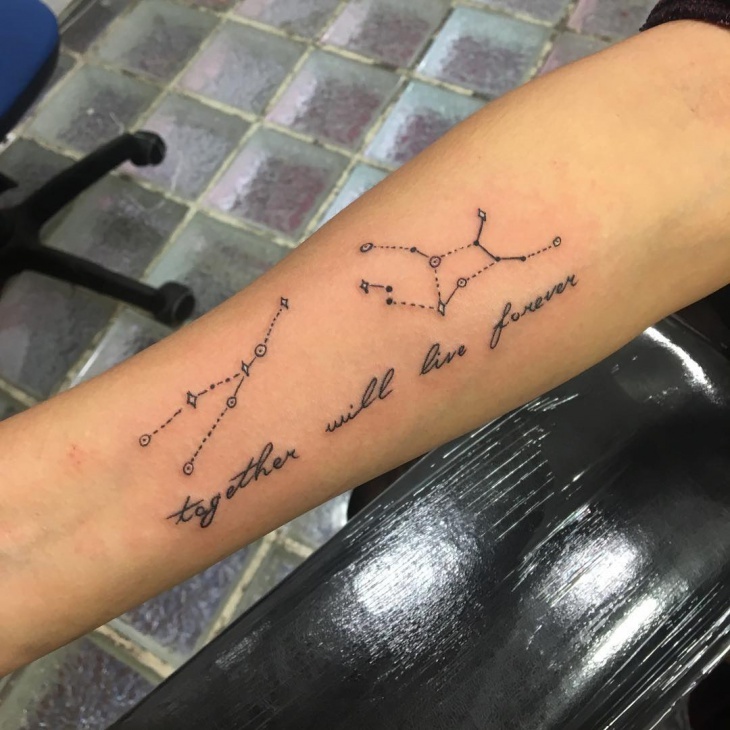 Every constellation has a greater meaning to it. The design is not given much focus, but it involuntarily looks nice. 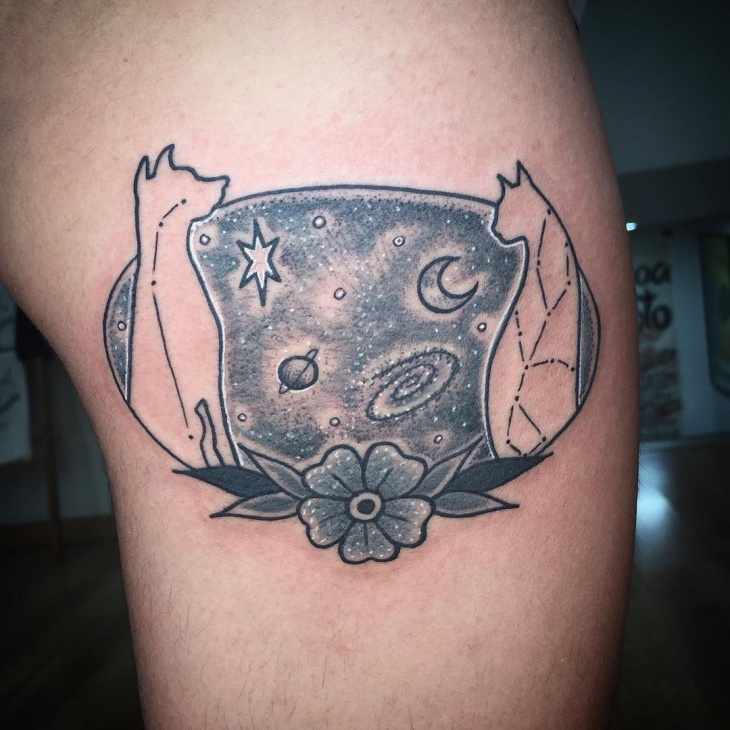 This tattoo is not made like the previous tattoos we have come across. There are no stars connecting each other. 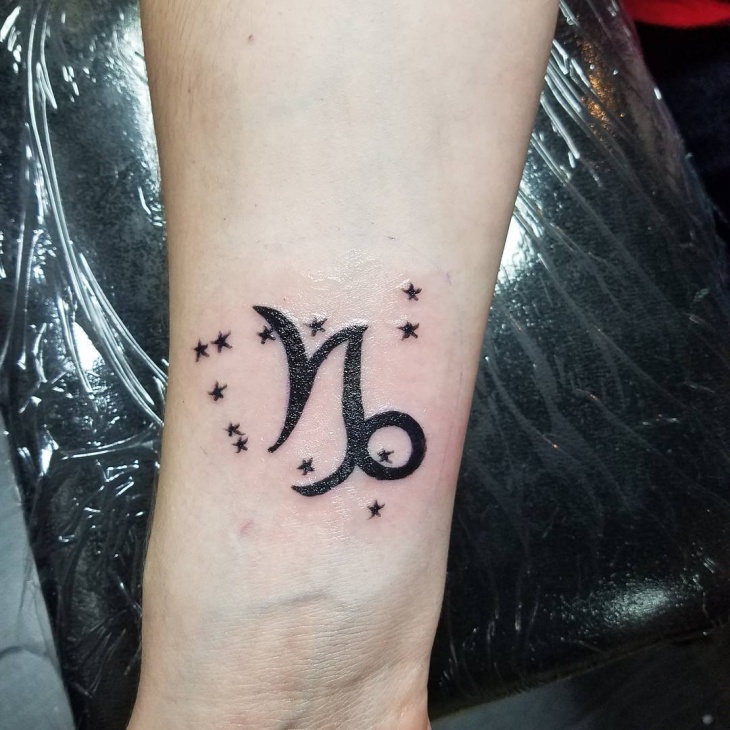 This design just has the traditional Capricorn sign colored in black and stars around it to make it look visually appealing. A simple tattoo looks more graceful and classy. 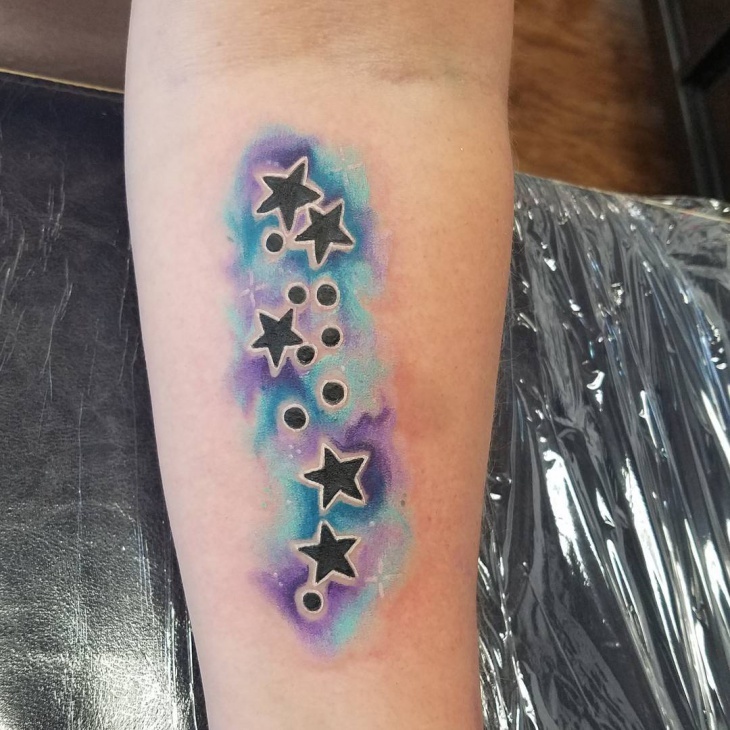 This tattoo has minimal design and minimal stars. This is also called the Orion belt. 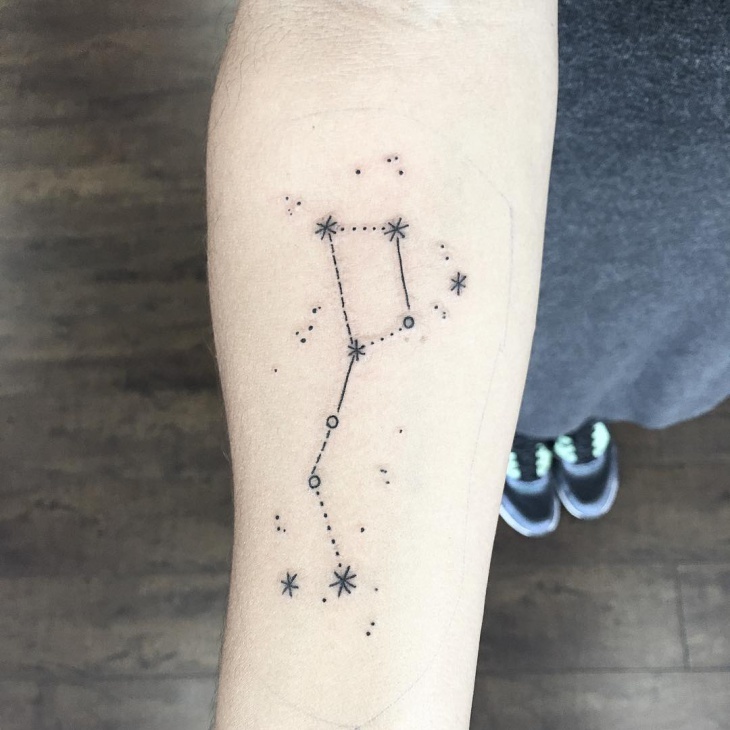 This tattoo design has an astrological quotient. The stars are colored well and the formation, though distorted, is done beautifully. Arm tattoos are the best because of the placement. Any form of tattoos would look good on your arms and they are easy and less painful to get done as well. 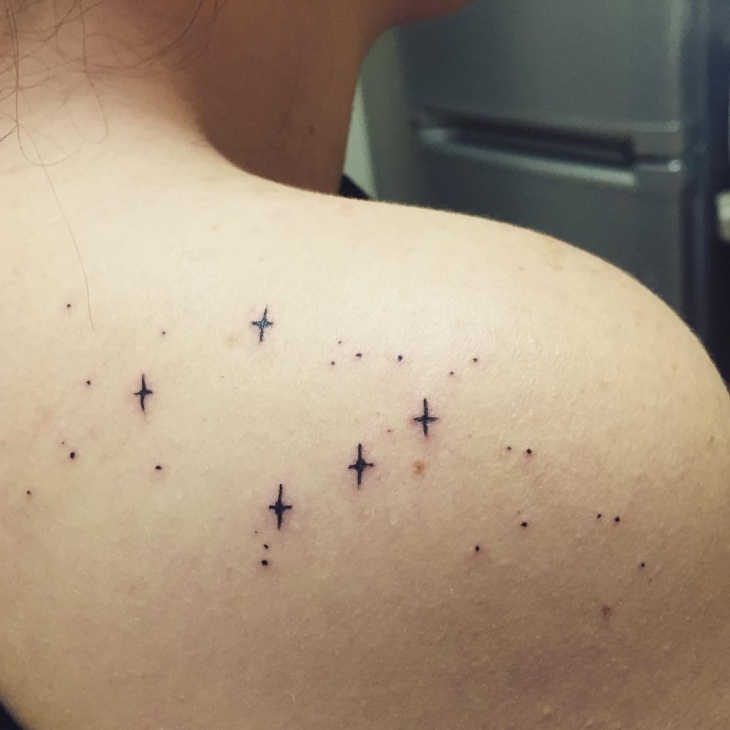 The constellation design might look simple but there is a lot of planning and thought that go into it. The Leo tattoo design is a mixture of class and charm. The Leo lies between Cancer and Virgo. It is also known as the Lion that makes the constellation look exactly like one. 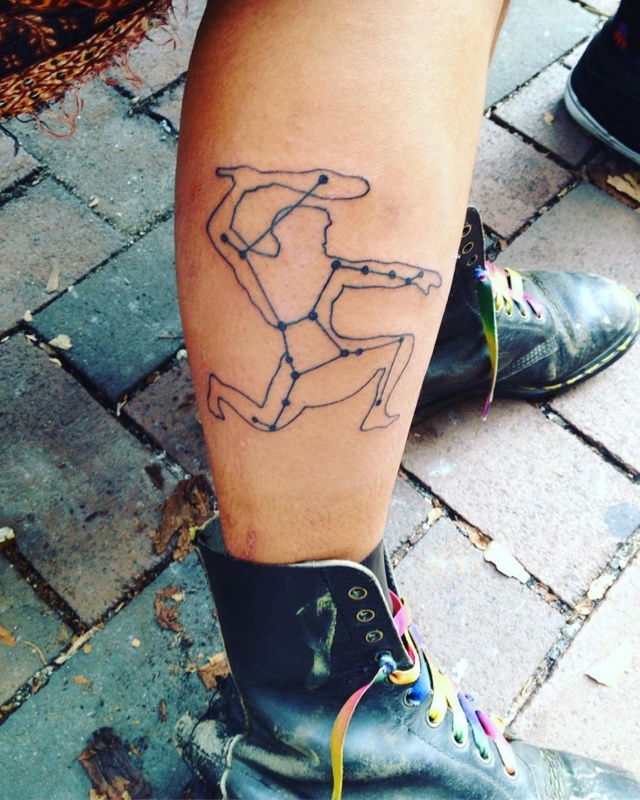 The constellation of Aries is the simplest design of them all. The way it has been drawn out on this leg is even simpler and visually appealing to look at. There are four stars in different shapes and sizes, each colored to perfection. 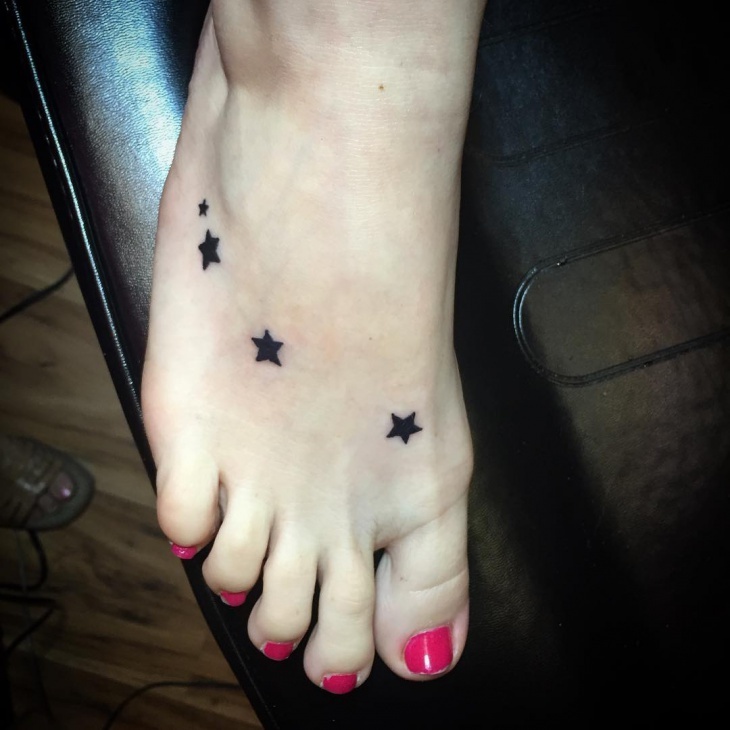 Overall, this design will look amazing on your foot. 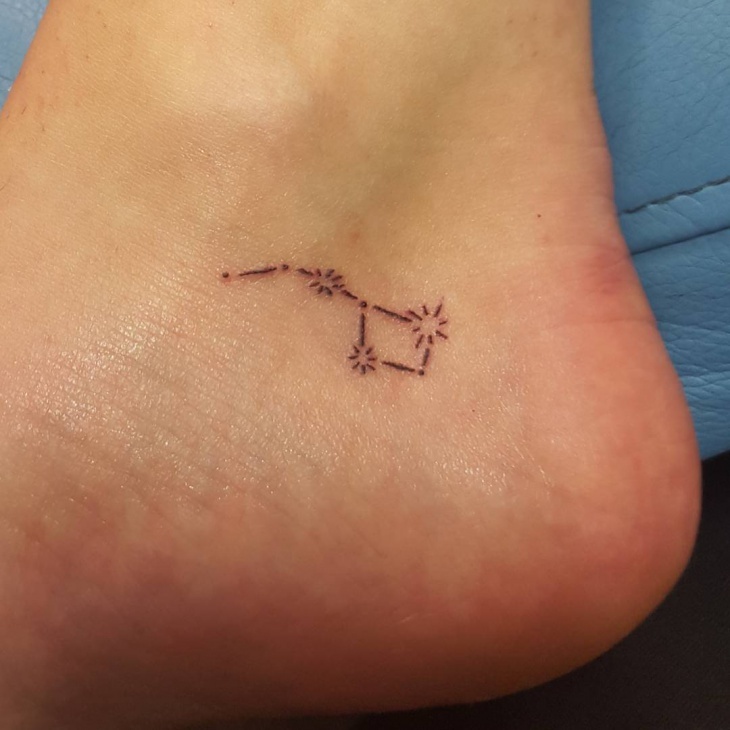 This is a small representation of the Aquarius Constellation Tattoo. 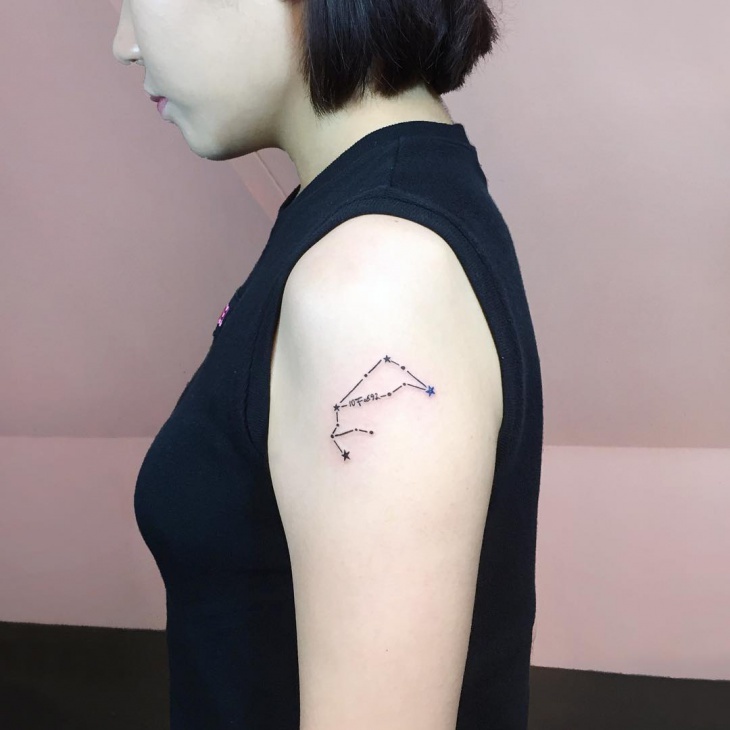 If you look from afar, it does look like the Aquarius sign and if you look at it closely, you will notice how perfectly straight the lines are and how well each star is interconnected. 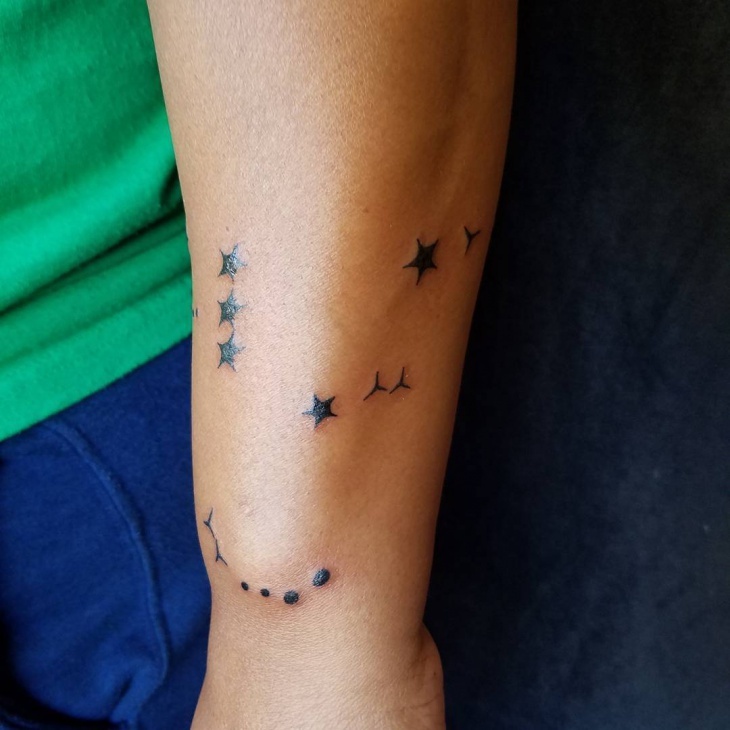 These are the different constellation tattoo designs we have found. 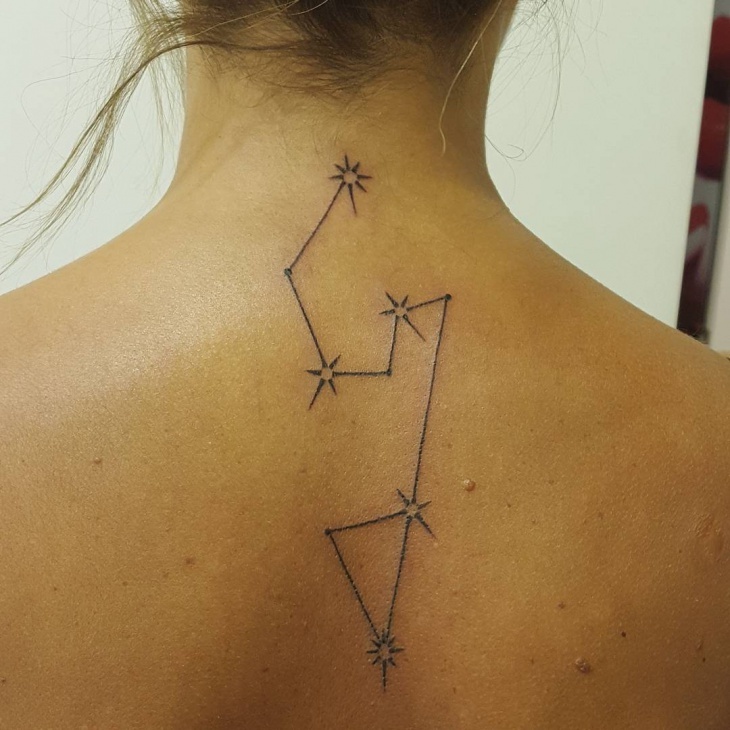 There are also more like the Libra tattoo, Taurus tattoo, etc.